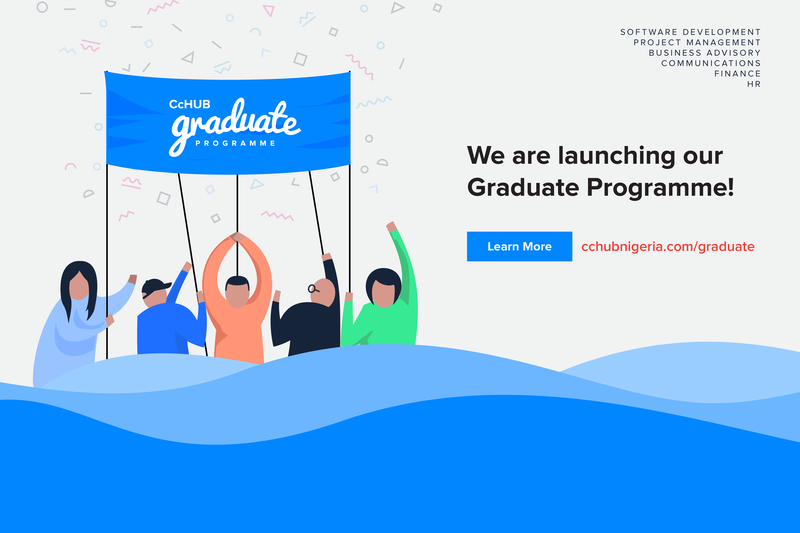 The CcHUB Graduate Program is a 3-month immersive experience, to equip graduates with relevant skills to help them transition into careers. You must have completed your NYSC programme. Meanwhile, check The CcHUB Student Commnunity. Is there any program for IT students? or send a message to @anosime. As @Ileriayo mentioned, you should have completed your NYSC programme within the past 3 years to be eligible to apply. @Chigozie_Madubuko No, right now, we do not have any programs for IT available. Hello @Ay_Babsolat. We will announce when the application will close. I will also update everyone here. 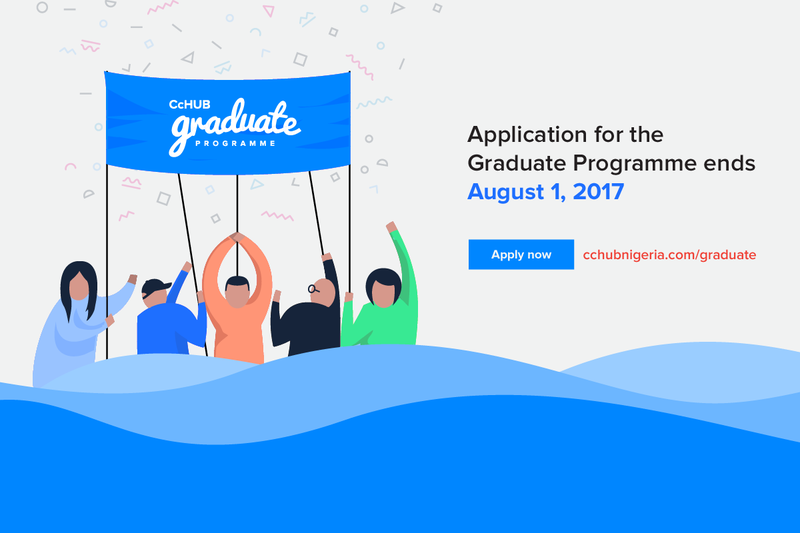 Hello all, The application for the graduate programme ends tomorrow, August 1st, 2017. If you have any questions, please do not hesitate to reach out to me. Hiya, @Joshua! Oops, sorry about your internet issues. We have considered your request and have opened it up to allow you submit your project. Trust you will send it in as soon as you can. I have submitted, and I hope to get in. I feel like I’m on the inside already. You are welcome, @Joshua. Let’s keep our fingers crossed, shall we? I already applied. I am really hoping to join the team. Great to be here. Hey @JUMOKE_OLUPINLA, Sorry to hear you were unable to apply. Unfortunately, the application is closed. Wow even i am impressed. Yes O, I really hope for a successful one. Thank You.